Join us for Newbergs Old Fashioned Festival Cruise-In, Sunday, July 29, 2018 from 9:00am to 2:00pm on 6th Street. This is a non-profit event that has a great family atmosphere filled with lots of great cars, good music, activities, and food and vendors in the park. Cruise-In Highlights: Merchant Pick Awards, Club Participation Award, and a visit to The Rod Shop-Private Collection of Ken Austin and a Kid Zone which includes coloring contest and many other activities. New this year is Anvil Academy which introduces us to the world of Cyclekarts. Cyclekarts are scaled down versions of historic automobiles. They will be showing and demonstrating the capabilities of these cars at this years Cruise-In. GERMAN PALOOZA SPONSORED BY HECKMANN & THIEMANN MOTORS AND PRESENTED BY BMW CCASat, Aug 4th 9:00am 4:00pm, 2018A festival of celebrating German brand automobiles Expanding the Rose City Bug In to include all Volkswagen, Audi, BMW, Mercedes and Porsche vehicles, their enthusiasts and car club members Awards and dash plaques. Car show, swap meet, 1/2 track day and drag racing too German food and music Portland International Raceway, 1940 N. Victory Blvd., Portland OR 97217. Open event on the grass in the shade in beautiful Soroses Park, overlooking The Dalles and the Columbia River Gorge. All cars, trucks and motorcycles welcome FREE Admission to spectators. Over 350 Show Cars, Trucks & Motorcycles, Car Corral, Active & Vintage Military Vehicles, Huey Helicopter landing, West Coast Ravens Fly Over, SWAT Car, Police & Fire Vehicles, Race Cars, Food, Vendors, Trophies, Classic Tracks DJ, Corral Creek Blue Grass Band, Huge Raffle, 50/50 Raffle, and more. ALL PROCEEDS WILL SUPPORT: Oregon Paralyzed Veterans of America local projects, Returning Veterans Project, Salvation Army Veterans & Family Center Transitional Housing for 80 homeless veterans and their families and the MHRC Scholarship Fund assisting students pursuing automotive related programs. Ah, the 50s and 60s . . . the Happy Days, the Summer Nights, the rumbling of little deuce coupes and GTOs filling the air made the times Fun, Fun, Fun. Those were the days, and we all wish we could experience them now and again, don’t we?Join us for the Summer Finally Got Here Concert and Classic Car Show where you may relive days gone by with songs like The Little Old Lady From Pasadena, California Dreamin, and Do You Believe In Magic at our outdoor amphitheater. Enjoy classic cars, food and refreshment, and all the feelings of the good old days set in the foothills of the Cascades. If you love fantastic cars and the sounds of the 50s and 60s, then this is the place you’ll want to be. 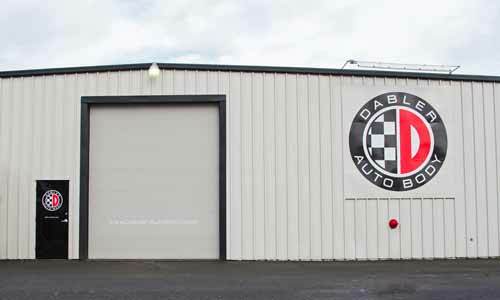 This entry was tagged ASE Certified, auto, auto body, automotive, Bmw, body, events, frame, I-Car, I-CAR Gold Class, lifetime warranty, oregon, paint-less dent removal, racing, repair, Salem. Bookmark the permalink.